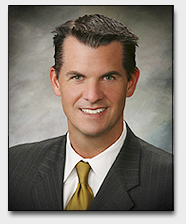 William C. Hoggard is the founding and managing principal of WCH Law Group, P.C. Mr. Hoggard has over 15 years of experience litigating construction and business related matters, along with counseling clients on a host of corporate issues. Mr. Hoggard graduated with high honors from California State University, Fullerton in 1994, earning a Bachelor of Arts degree in History. He then went on to law school, graduating from the University of California, Davis in 1997 with a Juris Doctorate degree. While at UC Davis, Mr. Hoggard was a comment editor for the UC Davis Law Review. Mr. Hoggard was admitted to practice law in California in 1997, and is also admitted to practice law in the Southern and Central Districts of the United States District Courts. Mr. Hoggard has substantial experience litigating and counseling clients in the area of construction contract litigation, general business litigation (e.g., contract disputes, business torts related to fraud, interference, trade libel/slander, misappropriation of trade secrets, commercial landlord/tenant claims), commercial collections, and personal injury defense. In the construction arena, Mr. Hoggard represents a number of developers, general contractors, subcontractors, material suppliers and sureties in various disputes involving private and public projects. Through his experience, Mr. Hoggard has particular expertise in the areas of bid protests, bid bond issues, contractor licensing issues, delay and impact claims, change order disputes, termination claims, mechanic’s lien, stop notice and payment and performance bond claims. In the business arena, Mr. Hoggard represents software technology companies, apparel companies, private lenders, individual business owners and various service professionals on a host of various contractual and business issues. In addition to Mr. Hoggard’s litigation practice, he also assists clients with incorporating various business entities, drafting and negotiating contracts, buy/sell agreements, operating agreements, notes and security agreements. Mr. Hoggard is a regular panel speaker for Lorman on Construction related issues, and has also had the privilege of speaking with various industry groups on different topics. Mr. Hoggard is available to speak with your company, industry group or organization on various construction or business related topics that may be of interest.